President Bush ranked in the bottom 10 presidents of all time on a C-Span survey released President's Day weekend. 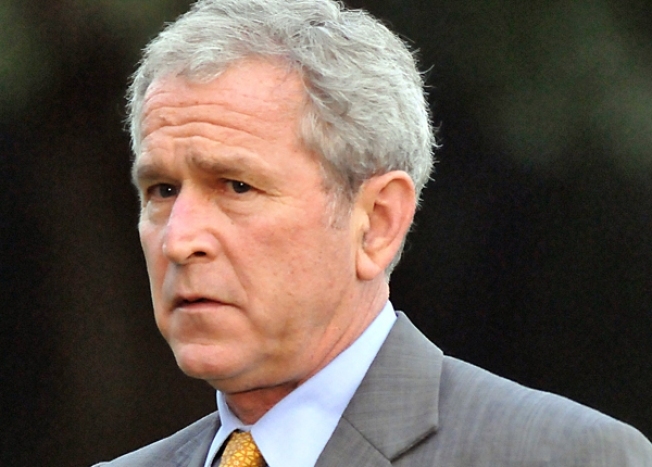 President Bush, rest easy -- six former leaders did a worse job than you. George W. Bush ranked in the bottom 10 commanders-in-chief of all time in C-Span's annual Historians Survey of Presidential Leadership, released on President's Day weekend. Abraham Lincoln, the 16th president known as the "Great Emancipator," was named the best-ever leader, while George Washington, Franklin Delano Roosevelt, Theodore Roosevelt and Harry Truman rounded out the top five, in that order. Dubya placed a dismal 36th in the rankings, decided each year by a team of 65 presidential historians. Presidents trailing behind Bush included Oval Office alcoholic Franklin Pierce and James Buchanan, whose inability to avert the Civil War landed him in last place. Former Presidents Bill Clinton and Ronald Reagan both advanced in the rankings to reach 15th and 10th place, respectively. Jimmy Carter dropped three places to land at No. 25 on the list. The entire survey is available in PDF format on the C-Span website.